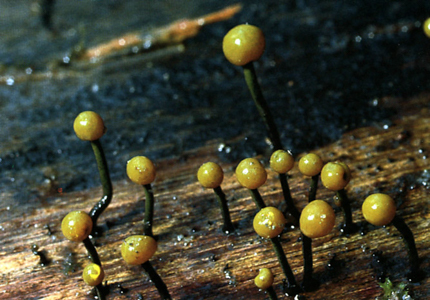 On logs in running water in wet forests of south-eastern Australia. 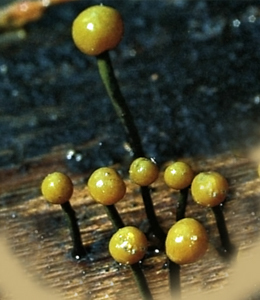 This very tiny pin-shaped species has a round yellow head on a dark green stiff stem, which is attached to the substrate by a small basal disc. It is the only species of Pin that fruits either totally or partially immersed in running water. Generously sponsored by Tim Cannon.